Rumour Mill: Celtic target reveals contract talks | McCoist ‘wanted QPR job’ | Keane to Celtic? Conor Hourihane, linked with Celtic, holds talks with Barnsley; ex-Rangers boss Ally McCoist was keen on QPR job and could Robbie Keane return to Celtic? HIBERNIAN’s match with Queen of the South was held up briefly after a FOX darted onto the field of play and ran the entire length of the Easter Road pitch. CONOR Hourihane, the Irish midfielder linked with a move to Celtic, has revealed he has opened talks with current club Barnsley over a new deal. The 25-year-old was mentioned as a possible target for the Hoops as well as Rangers and Aston Villa, with Hourihane’s contract up in summer 2017. FORMER Rangers boss Ally McCoist has revealed he is desperate to get back into management - and even applied for the QPR job which later went to Ian Holloway. McCoist said: “A few jobs have come up but just after I expressed an interest in one, people got in touch to tell me not to go near it with a barge pole. So I’m not going to take anything for the sake of it. Keane set for Celtic return? BOOKIES have slashed the odds on Irish striker Robbie Keane returning to Celtic. The 35-year-old left Los Angeles Galaxy after more than five seasons last week, and is now a free agent - and some bookmakers reckon he could return to Celtic. AN SFA plan to revamp the Scottish game could be pushed through without a club vote, according to reports. 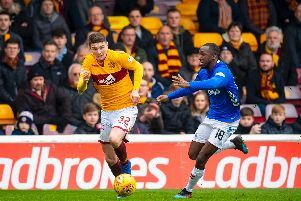 The blueprint contains plans for an eight-club academy elite - but six clubs with strong youth set-ups including Kilmarnock, Dundee United and Motherwell - face missing out, leading to a tense situation. Clubs fear the SFA could look to push the proposals through regardless. The plan is named ‘Project Brave: Raising the Bar - Changing the Game’, and outlines a total revamp of youth development from academies to the national team. MANCHESTER City are reportedly preparing a £200 million bid for Barcelona striker Lionel Messi. The Argentinian forward, who missed Barca’s stalemate with Malaga last night and is a doubt for the Celtic clash, would be in line for an eye-watering £500,000-a-week salary. KRIS Boyd has insisted that people need to ‘get real’ if they think Celtic striker Moussa Dembele will be sold for ‘upwards of £20 million’. BRENDAN Rodgers has backed his players to cause a shock in Wednesday’s Champions League showdown, despite a 7-0 drubbing at the Nou Camp. Neil Lennon famously led Celtic to a 2-1 win over Barca in 2012, and Rodgers is calling on his players to repeat history. NEIL Lennon is hopeful that John McGinn can delay an operation on his ankle until after Hibernian travel to face Dundee United at Tannadice. The 22-year-old was a stand-out performer in his side’s 4-0 win over Queen of the South yesterday, with a fierce shot from the ex-St Mirren midfielder deflecting off Chris Higgins to put Hibs 2-0 up. CELTIC and Aston Villa are both eyeing a move for Crystal Palace midfielder Jordan Mutch. FORMER Cardiff and Wigan boss Malky Mackay is at the top of the SFA’s wishlist as Scottish football’s governing body seeks a new performance director.